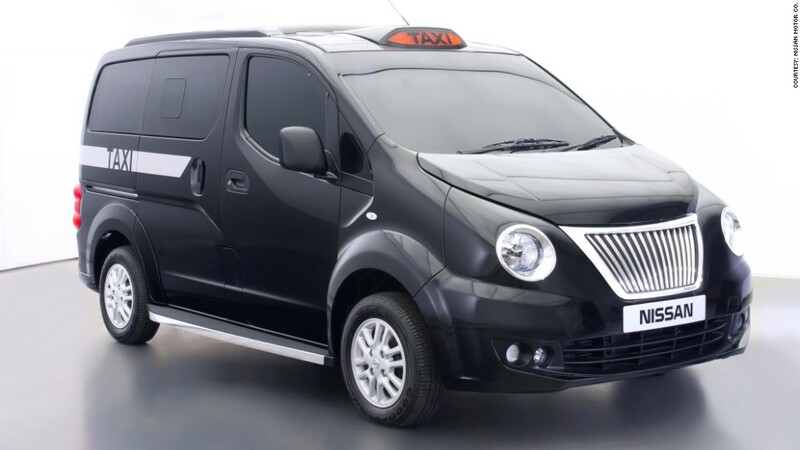 Nissan unveiled its redesigned NV200 taxi in London on Monday. Japan's Nissan is fighting for a foothold in London's taxi market, pitting a redesigned vehicle against the city's distinctive black cabs now made by a Chinese company. Nissan (NSANF) unveiled its new taxi for London on Monday, promising further changes to the NV200 model over the coming months to make it a zero-emissions car. The NV200 taxi is already available in New York, Tokyo and Barcelona. The London version will be on sale from December 2014. Nissan is going head-to-head with Chinese auto giant Geely (GELYF) -- owner of The London Taxi Company -- whose traditional cabs have a near monopoly in the city. The London Taxi Company has dominated the market for decades, but after years of losses the company went bankrupt in late 2012 when a safety problem led to a recall of 400 cabs. Major shareholder Geely brought it back from the brink in early 2013, paying £11 million ($18 million) to buy the company and restart production at its U.K. facilities. It's now working on producing 1,400 vehicles for the U.K. market -- at a rate of 12 per day -- but is also facing competition from Germany's Mercedes-Benz, a division of Daimler AG (DDAIF), which is selling another model to London cabbies. Related: Which city has the world's best taxis? London's taxi scene represents a small fraction of total global auto sales, but automakers believe the international city is a good place to showcase their designs. Ian Fletcher, a senior auto analyst at IHS in London, said Nissan wants to promote the NV200 model in London in the hopes of drumming up sales of its low-emissions and electric cars. "This is part of a wider strategy of attracting cabbies into buying more [Nissan] vehicles, but it is also part of Nissan's electric vehicle strategy," he said, noting that uptake in the electric vehicle market is lower than the company would like. London mayor Boris Johnson has called for all London cabs to be emissions-free by 2020. Nissan's electric version of the NV200 will be launched in 2015. 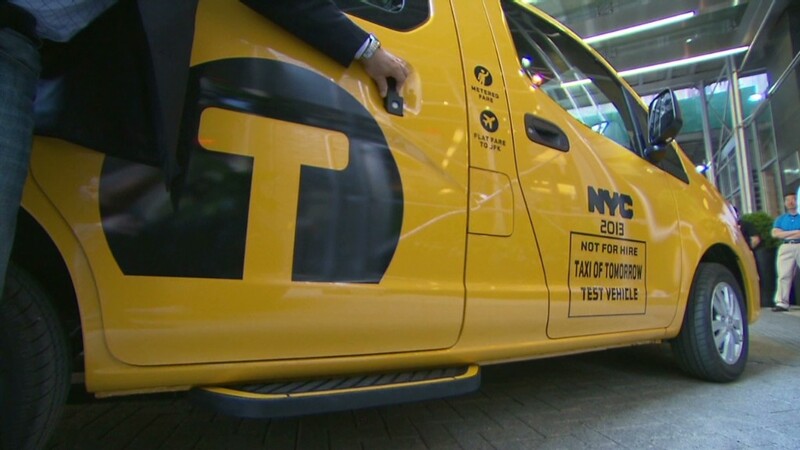 Nissan's NV200 taxi has faced various setbacks in New York. Former Mayor Mike Bloomberg wanted it to become the city's main taxi model but the plan was knocked off course by a combination of technical shortcomings, city hall bumbling, and political wrangling. Over a dozen different types of vehicles are currently certified for use as taxis in New York City.